When you’re undergoing chemotherapy, having your hair fall out can be a horrible experience. When you’re ready to brave the shave, feel at ease here at Colorseum – we not only offer a free head shave, but also a supportive environment to enjoy a chat with our lovely team. If you are looking for a beautiful wig after your hair loss, we have a range of solutions to help. We’re always available for an impartial chat about the different options available for you. A collection of foundations, blushers, bronzers and eyeshadows all made of 100% pure minerals and a SPF of 25. Containing Amethyst and Quartz to energise the skin. 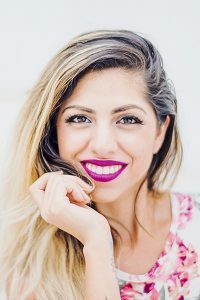 We can offer advice and lessons on the application of Mii make-up. A bespoke and gentle massage carefully adapted by a specialist therapist to suit individual needs. The treatment can last 30 minutes or 60 minutes depending on your comfort levels. We use 100% natural and organic oils so this treatment is ideal for the most sensitive of skin or those living with or beyond cancer. We can treat the whole body (arms, legs, back) scalp and face, or any combination you like. A blissfully relaxing facial adapted and designed to bring harmony to the most sensitive skin, carefully adapted to suit each individual’s needs for people with sensitive skin or those living with or beyond cancer. You face and scalp (if desired) will be cleansed, exfoliated, spritzed, massaged and hydrated. The soothing massage techniques will leave you feeling relaxed and calm, and your skin feeling hydrated and glowing. A nourishing and moisturising treatment carefully adapted to suit each individual’s needs for people with sensitive skin or those living with or beyond cancer. 100% natural ingredients of luxurious peach kernel and macadamia oils are the perfect antidote for damaged nails and sensitive skin, often common parts affected by chemotherapy and other drugs. Your nails will be filed and shaped, nail oil applied to re-hydrate followed by a hand and arm massage, the treatment concludes with an application of nail varnish of your choice and Defiant Beauty nail oil. A carefully adapted foot treatment using a 100% natural and organic nail oil and ultra-nourishing foot balm. We file and shape of your nails, apply Defiant Beauty nail oil to nourish and re-hydrate, followed by a relaxing foot and ankle massage using our soothing Defiant Beauty Foot Balm. Finishing with a nail colour of your choice and another application of nail oil. A perfect treatment to soothe damaged nails and skin. A blissfully relaxing treatment combining a bespoke and gentle massage carefully adapted by a specialist therapist to suit individual needs, using 100% natural and organic ingredients. We treat the back, legs, arms, face and scalp or any combination you like. This is then followed by a calming facial, so your face and scalp (if wished) is cleansed, exfoliated, spritzed, massaged and hydrated. To leave you soothed and relaxed from top to toe. Please contact us if you need further advice or have any questions about our services or click here if you would like to book an appointment. Defiant Beauty Therapies are a collection of treatments created to be safe for those living with and beyond cancer. Our Therapists are qualified and insured to treat those with cancer, and all treatments can be adapted to suit each individual client, no matter what your needs. So there is no longer any worry about being turned down for much needed me time. 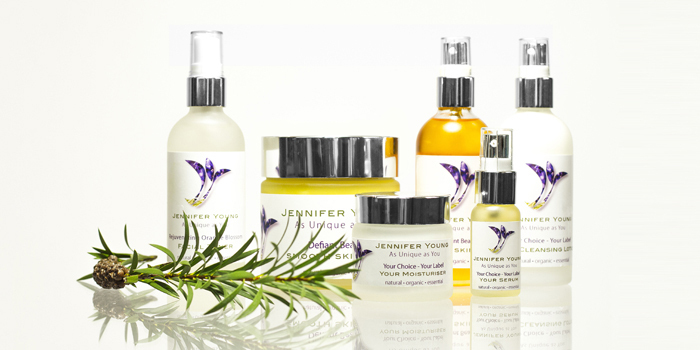 All of our Jennifer Young treatments are carried out by a specially trained therapist, they use a product range specially formulated for those living with or beyond cancer or those with highly sensitive skin. The skincare collections have been created with the help of patients at an NHS cancer centre, women and men who have been through treatment, and their nursing teams. All the treatments can be adapted to you individual needs, which are discussed within your initial consultation. They are also available to anyone who would like to try them. Treatment time can be flexible from 30 minutes to an hour and a half depending on your tolerance. We are humbled to be able to offer specialist beauty treatments and products for cancer sufferers here at Colorseum.